Once upon a time there was a lady who lived on this earth called Joyce Estelle Turner. 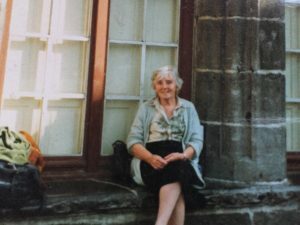 This lady (see photo) was my Mum and she left our earth on February 12th 2003. It was my Mum who passed on to me her love of flowers and the nature kingdom and this is a story of the love between a mother and daughter and snowdrop. Just a few days before Mum passed away, knowing she loved snowdrops and not being able to visit her in hospital due to distance, I bought a snowdrop plant, pressed the flower and posted it to her in hospital. I knew she would love receiving this. However, she was never to see the snowdrop as she passed away on the day the letter arrived at the hospital and I received the snowdrop posted back to me as few days later. This first message from Mum via Snowdrop was not lost on me. 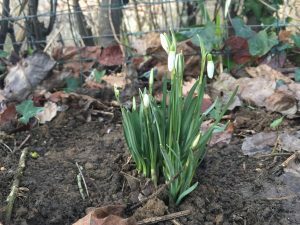 To help you understand if you are new to flower essences, Snowdrop as a flower is one of the first to bloom after Winter – her white tiny flowers offer hope at this fragile time of quickening. She is a messenger of New Life and this was the message my Mum passed on to me at the time of her death. What a gift this was at this very sad time. My snowdrop connection was set to become deeper and even more magical. In February 2008 I made my first ever flower essence with Snowdrop – it was a beautiful crisp day and we received permission to make this essence in a field of snowdrops – so much abundance of snowdrop energy. We nestled the bowl in a clump of snowdrops and left it there in the sun to potentise. 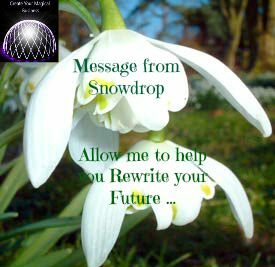 Over the next few years Snowdrop and I worked together closely and she gave me the message that you see in this photo : “Allow me to Rewrite your Future“. It was a precious message and one so in keeping with my work in flower essences. I used this essence (and still do) as a mister for our house for many years and kept deepening my connection to her and allowing her to guide me in “Rewriting the Future“. 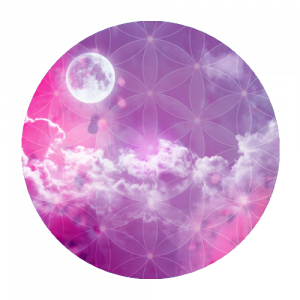 Fast forward to 2016 and having worked magically for many years with the nature kingdom and the lunar cycles and a lot of practical business implementation , my family and I were able to fulfil a dream of many years and relocate to South West France. A few years before this we had been unhappy with our lot in life, wishing for so much more but really doubting as to how we could ever manifest what we wished. This was the magic of Snowdrop working away….helping us to achieve what we felt was impossible. Our new house has extensive land (for us) and a magical secret garden where a quince and apple trees live. There is a fabulous view over the valley towards the Gironde estuary (see photo on the left). One of the first things I did when we moved into this house last year was place my fairy statue under the quince tree and place a Snowdrop essence in her holder. 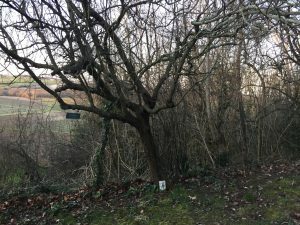 From time to time I would visit this tree and take a few drops of Snowdrop and literally drop them into the land with a prayer of Rewriting the Future for us all – my family, our new land and our new life and the nature that lives alongside us. Again little did I realise how snowdrop and I were still weaving magic into the etheric layers of our life. At the time of writing this we are in February 2017. I happened to notice some Snowdrop photos passing by on my Facebook feed a few weeks and was filled with a sudden sadness that here where we live in France it is not a natural habitat for snowdrops. I missed their physical presence. I shared my sentiment on the Facebook post. Little did I know but it seems I was also putting out a prayer request for snowdrop to join me here. Just a few days later, a good friend of mine (thank you so much Gwen) got in touch and offered to send me ….snowdrops from her Mum’s garden. Gwen’s Mum is also in spirit and so this felt like an extraordinary way for my Mum to send me her love and blessings for our new life and to affirm the promise of new life. On February 10th 2017 I received a package from Gwen of snowdrops – all safely wrapped and not minding at all their journey here. On February 12th (the anniversary of Mum’s passing) I chose to plant these snowdrops under the quince tree. The fairy holding her snowdrop bottle had been waiting for them all along and now they find their home here together. As I sat quietly with Snowdrop in her new resting place, I thought of my Mum and the message that Snowdrop had passed on to me from her all those years ago. I was reminded just how much our lives had changed since then and how from a life of feeling stuck and very “broke”, we had discovered a new life of opportunity and blessings. In the Practitioner Diploma in Flower and Vibrational Medicine that I facilitate, I ask my students to share in their first workbook a sacred relationship or connection that they have to a flower or tree. Their sharings are always so precious. This is my story of Sacred Relationship to Snowdrop. I share it here to inspire you and to act as a messenger to your heart to look for the signs of nature in your life. When she calls, listen and take action as she can truly transform your life magically. Thank you Snowdrop for your friendship and magical ability to Rewrite the Future, Thank you Mum for your continued love and blessings in our live and thank you Gwen for being the messenger and hearing and acting on the call. 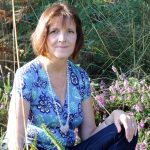 If you would like to learn about the Practitioner Diploma in Flower and Vibrational Medicine that I facilitate, please click on this link. It is an online course and truly transforms the lives of all who take part. My own journey is part of this and I feel truly blessed by life and nature. If you have enjoyed reading this, please do leave a comment. I’d love to hear how snowdrop speaks to you and which flowers are sacred messengers for you.